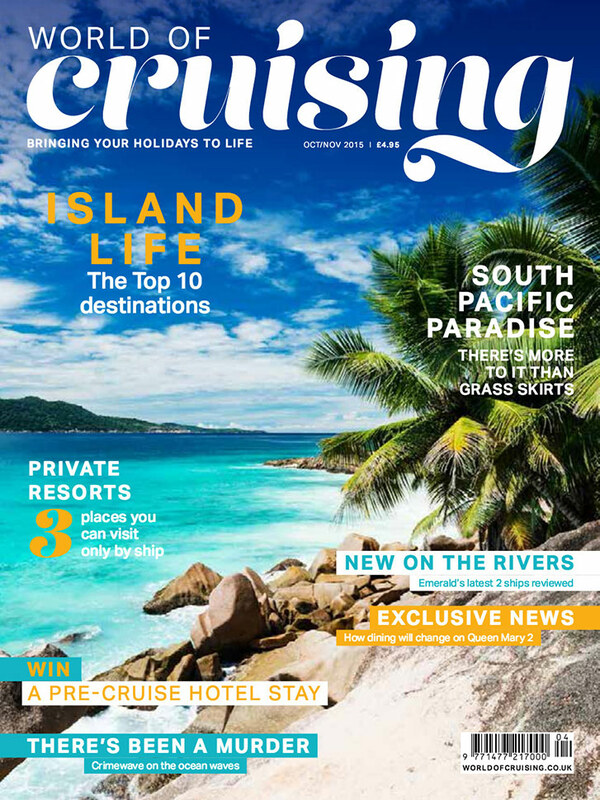 World of Cruising is on the crest of a wave – our first issue to go on sale in newsagents throughout Britain flew off the shelves and our hard-working crew are now planning the exciting Wave Awards to celebrate the best of cruising. There’s an island theme to this issue, we look at the Top 10 islands to visit by cruise ship, take an Azamazing Journey through the Aegean, and sail in search of Paradise in the South Pacific. There’s an EXCLUSIVE insight into the culinary changes coming to Cunard’s Queen Mary 2 and just as we went to press, Saga Cruises announced their first ever new-build ship – full details on our news pages. While you’re planning next year’s cruise, don’t forget to subscribe to World of Cruising.